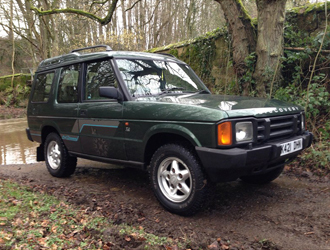 About half of the Land Rovers traded-in as 'scrap' were Discoverys. The dismal roll call also includes approximately 600 Freelanders, 300 Range Rovers, 300 Defenders, and 130 Series Land Rovers. Add to those numbers the Land Rovers whose information was poorly recorded, making them difficult to identify, and you arrive at a grim total of about 2800 Land Rovers. It’s impossible to be precise about the exact numbers, as the details released are pretty sketchy. For instance, 771 vehicles fall under the category of ‘Discovery’, with no mention of their year, engine or model. Mis-spellings and baffling names abound: what, for example, is a ‘Land Rover, Peugeot’ or a ‘Land Rover, Estate’? But bash your calculator for long enough, and some trends begin to emerge. Long-wheelbase Defenders and Series escaped the crusher more often than their short-wheelbase brethren; crushed 90s outnumber 110s roughly two-to-one, and considerably more 109ins were scrapped than 88ins. Unsurprisingly, scrapped Range Rovers are comprised almost exclusively of P38s and Classics, but one Range Rover Sport somehow found its way onto the list. A couple of Classic LSEs appear too; they might not have been worth much in 2009 but a decent one now will cost you well over £10,000. Even the crustiest are worth more than £2000, which is what the owners will have received for trading them in. There is, thankfully, some consolation to be found. A few models are absent from the list; there’s no evidence that any Forward Controls were scrapped, or anything with a wheelbase shorter than 88in, so early Series Is hopefully escaped unscathed. Looking at the broader picture, the 2800 scrapped Land Rovers represent less than 1% of the 396,000 vehicles that fell victim to the scrappage scheme. Considering that Land Rovers total more than 1% of UK traffic, it seems that Land Rovers were less affected by the scheme than other makes of vehicle.